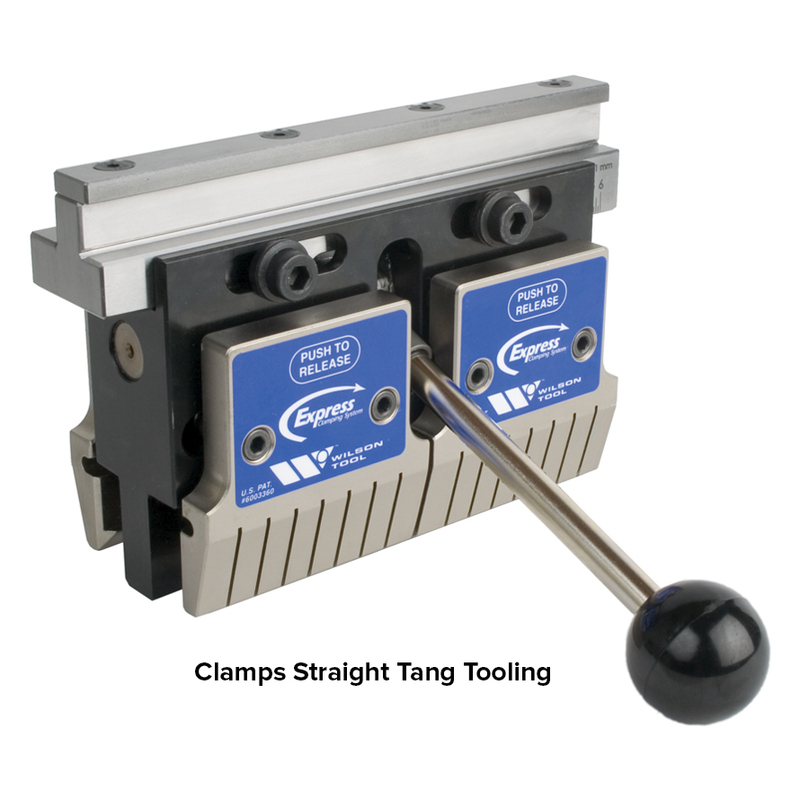 Express Clamps offer the ease and speed of manual lever activation to quickly clamp and seat European style punches in seconds. The sectionalized style offers flexibility for box bending and other complicated setups. The new patent-pending Express Punch Clamp Plate from Wilson Tool makes it possible to clamp and seat European style beveled tang punches. The new clamp plate can be retrofitted for use with existing Express Punch Clamps used by fabricators around the world. Adding a clamping system to your press brake is like adding new life to your machine in that it adds modern and efficient clamping and refreshes the bending surface. Clamps are also a way to dramatically reduce setup and changeover time. With solutions ranging from lightning speed push-button clamps, to a deflection controlling crowning system to quick lever-activated clamps or economical manual holders, Wilson Tool provides a clamping solution for every press brake.